We strongly believe that Printlab's playful and easy-going workflow is the best path to teach young (and not so young) people the miracles of this technology! 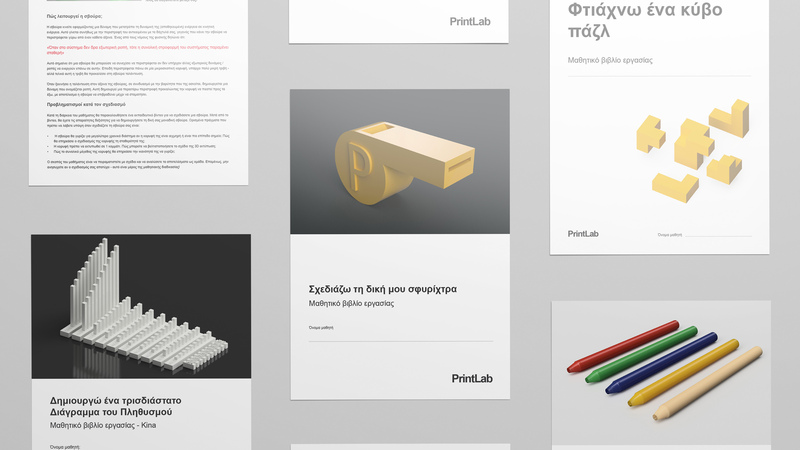 Today we are delighted to announce that our 3D printing curriculum portal, PrintLab Classroom, is now available in Greek! The initiative to support education in Greece follows the success of the English and Polish versions of the platform, which are taught in over 250 schools globally. As a result of a collaboration with Greek 3D printing distributor '3DHub', we are now able to prepare a new generation of young people for their future careers, whilst providing teachers with engaging content for use in the classroom. Our overarching mission at PrintLab is to close the gap between education and industry at the global scale. Offering our 3D printing curriculum in multiple languages is a key step towards fulfilling this mission. Together with 3DHub, who can support teachers locally, we're excited to prepare a new nation of students for innovative and disruptive careers in 3D design and additive manufacturing. We strongly believe that Printlab's playful and easy-going workflow is the best path to teach young (and not so young) people the miracles of this technology! This aligns perfectly with our vision to make it more accessible for all, by accelerating the whole process and bringing down barriers that kept schools away from 3D designing/printing or kept their 3D printers dusty and unused!